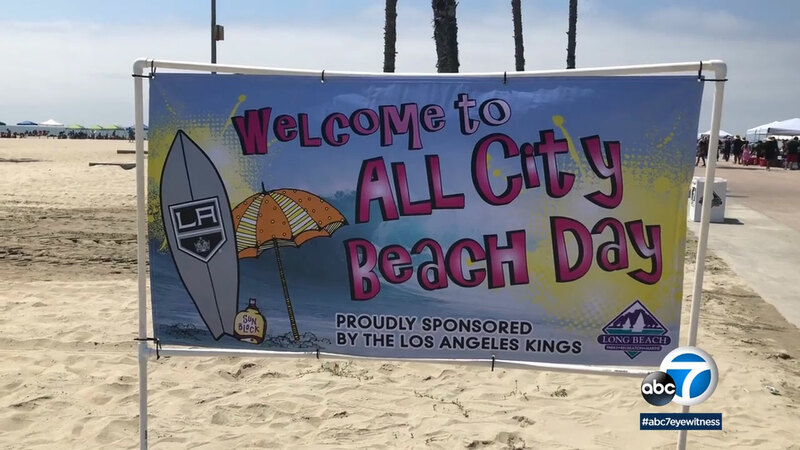 LONG BEACH, Calif. (KABC) -- The L.A. Kings traded in ice for sand for the "All City Beach Day" in Long Beach. More than 2,000 kids from the Long Beach Parks and Recreation summer camp came to enjoy some fun in the sun. Besides the Kings, the Port of Long Beach and the Long Beach Airport also sponsored the event. For many of the kids, this was their first time experiencing the beach. The harbor patrol was there for some safety and fun, as well as a DJ spinning tunes, turning the beach into a dance floor. Children attending the beach day went home with gifts from the L.A. Kings.